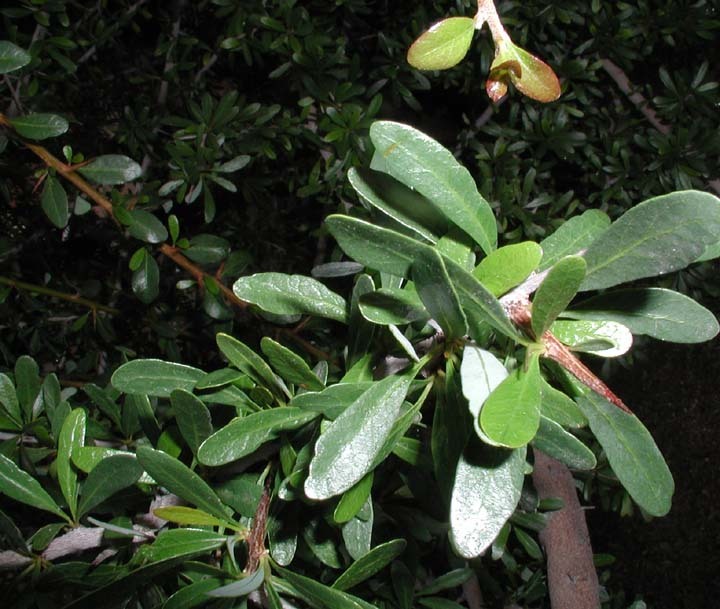 Characteristics: Dark green leaves are less than 2 cm long, simple, lanceolate, and arranged alternately. Flowers are very small, greenish-yellow, and occur in clusters. The twisted and gnarled black trunks and splayed branches can resemble a Barberry or Firethorn; although unlike these members of the Rose family, the Argan fruit is an oblong, greenish-golden berry up to 3 cm long. Inside the fruit’s fleshy exterior is a very hard nut containing 3 almond-like kernels. Argania spinosa is a very rare and little known tree with roots that first originated in Southwest Morocco (1). It is believed that the argon tree was one of the few species to survive the period of time between 65 and 1.8 million years ago, due to its ability to remain in a state or dormancy in time of drought as well as bear harsh conditions and poor soil (3). In the thirteenth century, Ibn Al Baytar, a Muslim botanist, scientist, pharmacist and physician, described the tree in his botanicals encyclopedia (3). There are now about 20 million trees in southwestern Morocco, and the tree has continued to cultivate in Libya, Israel, and Spain (1). 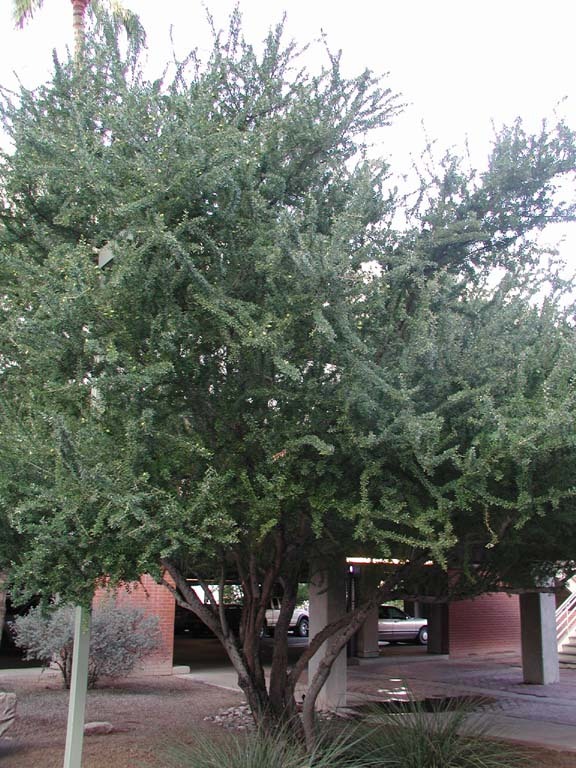 To get this special plant to the University of Arizona campus, Warren Jones brought back Argania spinosa seeds after traveling throughout Africa and the Mediterranean (1). After planting several plants around campus, many did not survive. When the new Cherry parking garage was built in 1989, two more trees were planted and have been providing beauty and shade for UA ever since. 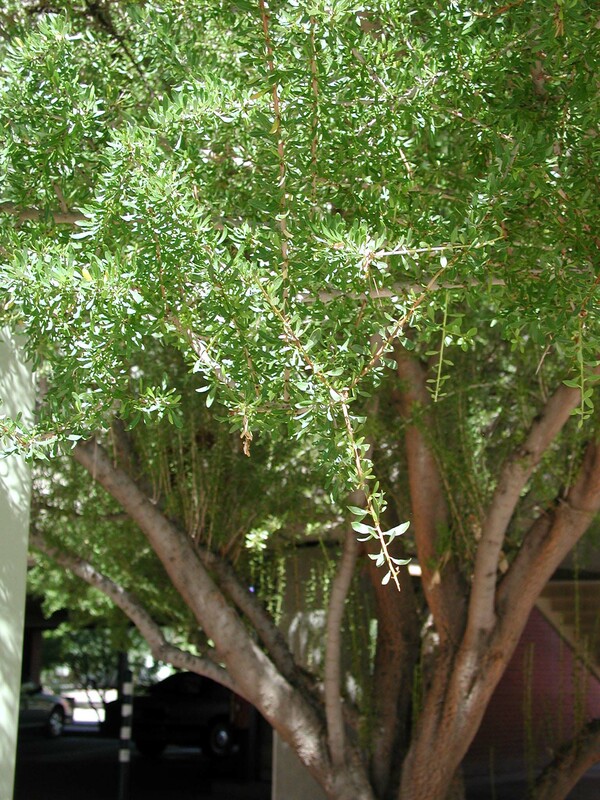 Natural History of the UA Campus Arboretum Specimen: Warren Jones brought seeds of Argania spinosa to Arizona from his travels in Africa and the Mediterranean. Although several trees were installed on campus in different microclimates, not all survived. In 1989, two trees were planted along the newly-built Cherry Avenue Garage: one each on a south and eastern eposure. Presumably both of these trees have been protected from frost and harsh eposure by the parking garage. Neither of them sustained damage from the 19 F temperatures of December 2003. Cultivation Notes: Argania spinosa requires very little care or cultivation (1). Although the argan tree is unable to withstand a harshly cold climate, it is resistant to extreme heat and drought (2). This makes it easy for the plant to grow and flourish in areas of southeast Morocco. The argan tree is well suited to survive in relatively poor soil conditions, such as calcareous soils and sandy deposits but not drifting sand or waterlogged soil. The essential strong and deep roots of the tree are able to absorb the 100-200mm of rain it needs each year (2). The roots can extend to about 35 meters in the ground, allowing the tree to live between 150 to 400 years in a harsh environmental climate. The argan tree does not rapidly spread and grow in just any area, which is why there is only one Argan forest in the world. The seeds need to be planted in an area where it will be able to thrive on its own in the right environment. Argan is an extremely essential plant that keeps the earth wonderful, which is why it has been under protection by the law for many years (2). 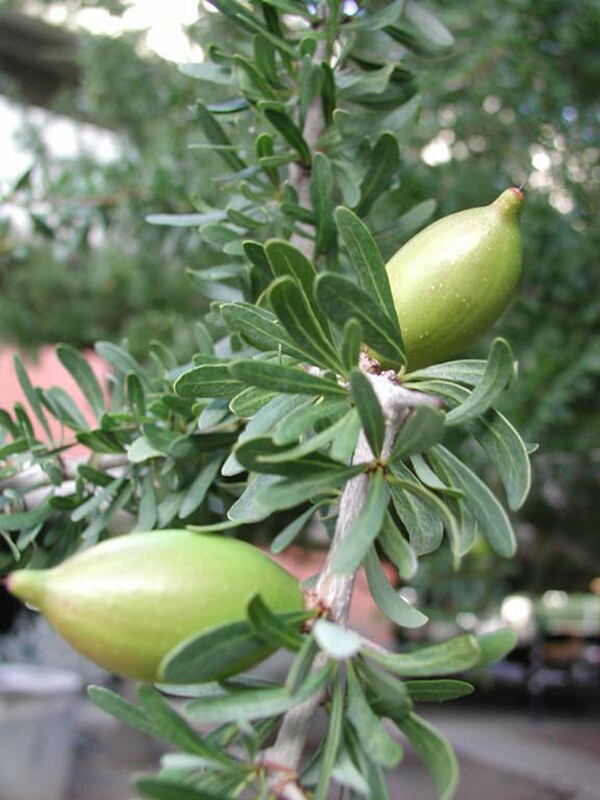 The argan tree is extremely beneficial for both humans and animals. Humans use the oil for cooking (1). The light brown oil is extracted from the white seeds that are composed of about half oil. The oil itself is nutritionally beneficial as it is high in vitamins A and E as well as unsaturated fatty acids. Native Moroccan citizens use the argan oil to make almond butter by mixing it with honey and almonds. After oil is extracted, the other half of the seed becomes a thick peanut-buttery paste, which is sweetened and used as a breakfast dip for bread. The durable wood from the tree trunk makes a good fuel for firewood and charcoal while the small nutshells are burned for cooking. The argan wood, indestructible by insects, can also be used for construction and local utensils. The oil is the most valuable product, producing about 1500 tons each year. As well as cooking, locals find it beneficial for an ingredient in medicine and cosmetics, curing everything from chicken pox to blood circulation (2).